DAILYKENN.com -- Embrace that which the globalist left hates. There are, of course, a few exceptions. But the general rule stands. Case in point? Nigel Farage. The far left hates Farage. Embrace him. The far left hates Brexit. Embrace it. The far left hates the new Brexit Party. Embrace it as well. Gq-magazine.co.uk took a swing at Farage. That's a cue that Farage deserves our support. 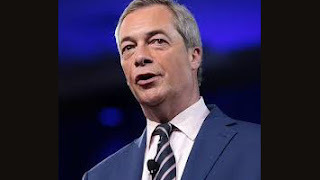 The site's post claims, "The Brexit Party, like everything Farage touches, is all about division." Leftists have a knack for displacing substance with slander. Rather than delve into the divisions caused by open-border immigration, the far left projects their hate. For the record, the Brexit Party was founded by Catherine Blaiklock who the globalist left eagerly maligns as Islamophobic and racist.